According to the second-annual MSPmentor 100 survey results -- which we'll release in February 2009 -- the world's top 100 managed service providers experienced strong growth in 2008. As a whole, the MSPmentor 100 companies increased their recurring managed services revenue 60 percent in 2008 vs. 2007. But that's not all. According to the second-annual MSPmentor 100 survey results — which we’ll release in February 2009 — the world’s top 100 managed service providers experienced strong growth in 2008. As a whole, the MSPmentor 100 companies increased their recurring managed services revenue 60 percent in 2008 vs. 2007. But that’s not all. The MSPmentor 100 companies — representing small, midsize and large organizations — generated nearly half-a-billion dollars (US) in combined managed services revenue in 2008. 87 percent of MSPmentor 100 companies generated $1 million (US) or more in annual recurring managed services revenue in 2008. Only 54 percent of those same companies generated $1 million (US) or more in recurring managed services revenue in 2007. 20.6% of survey participants say they host managed services systems for peer VARs and MSPs. The MSPmentor 100 companies managed a combined 708,993 customer nodes in 2008, up from 408,486 nodes in 2007 — a 73.6 percent year-over-year increase. Please note that all of the data points are preliminary. We’re still reviewing the data and preparing our complete MSPmentor 100 report (2008-2009 edition). 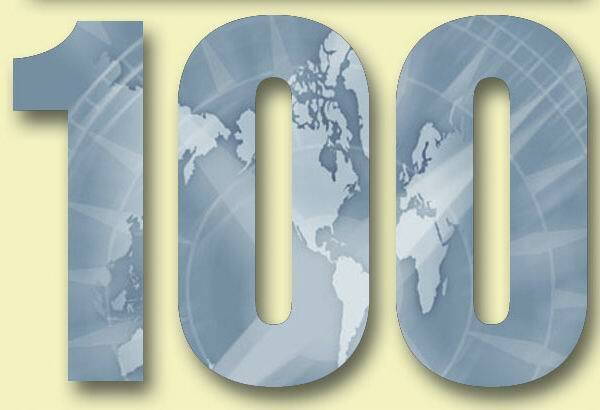 We expect to offer in-depth market details and the complete MSPmentor 100 company list in February. Items 3, 4 and 7 typically favor small, fast-growing MSPs — thereby ensuring that managed service providers of all sizes from across the globe are represented on the MSPmentor 100. We’ll publish the MSPmentor 100 list (2008-2009 edition) — plus a free downloadable PDF report — in early February. You’ll find it in our MSPmentor 100 Center. In the meantime, you can visit the center to view the 2007-2008 report and download last year’s research PDF. Please send questions or comments to MSPmentor Editorial Director Joe Panettieri (joe [at] ninelivesmediainc.com). This is pretty much in line with what we have seen within the N-able partner base (within our top partners). I hate to use the term “recession-proof”, but what our partners keep telling us is that their Managed Services contracts are much more likely to stay in place while their pay-as-you-go (Tamp;M) are much more at risk. Does anyone have information with regards to Mamp;A activities within the MSP space in Q4 ’09? There must be some great deals out there!?!? Derik: You can find a list of 2008 MSP mergers and acquisitions by visitng our MSPmentor MA Tracker. We’re aware of at least three more deals that are pending and expected to be announced within four to eight weeks. And as you know, MSPmentor never suggests MSPs are recession proof. We do think the best MSPs are holding up better than traditional product resellers. But as end-customers struggle — especially small businesses that may reduce their headcounts and seatcounts for 2009 — we’ll see some MSPs struggle. Even so, your point about MSPs holding up well is completely understood. Thanks for the note.